In a bid to help contain the spread of the Ebola virus, which is raging havoc on the West African country of Liberia, a political action group, Friends of Benoni Urey (FOBU) in the United States, is launching a fund drive to help raise money to assist the Liberian people in the fight against the disease. According to the chairman of FOBU, Daniel Gayou, proceeds from the fund drive will be used to purchase protective items like PPE latex gloves, hand sanitizers, disinfectant wipes, digital thermometers, among others. Mr. Gayou indicated that the fund drive will be held on Saturday, September 13, at 627 Clifton Avenue, Sharon Hills, Pennsylvania. He pointed out that the event will commence at 12:00 noon and ends at 10:00pm. The FOBU chairman further said he has already set up an eighteen-member committee to ensure that the program becomes a resounding success. Mr. Gayou noted that to jump start the process, an initial amount of $1660.00 has been raised. He said about 4022 digital thermometers, and several PPE latex gloves, hand sanitizers and disinfectant wipes have already been purchased from the money raised thus far. Mr. Gayou is meanwhile appealing to Liberians living in the United States, US citizens who are of Liberian origin, friends of Liberia and the general public to turn out in mass to the fund drive and help support FOBU as it strives to help in the fight against the Ebola virus in Liberia which has infected an estimated 2, 615 people in West Africa. 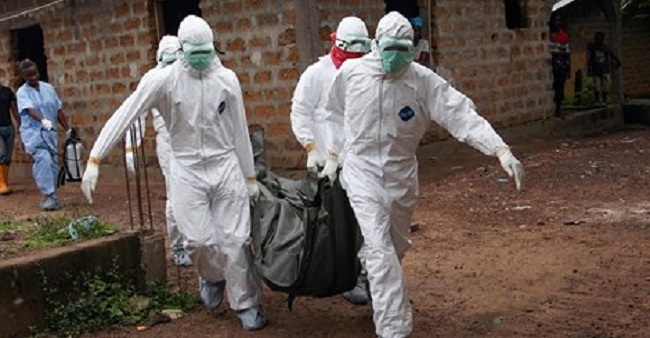 More than 1900 people have died from the Ebola virus this year in Guinea, Liberia, Sierra Leone and Nigeria. The disease has claimed more lives in Liberia. Friends of Benoni Urey is a political action group whose aimed it to ensure that former Liberian Maritime Commissioner, Benoni W. Urey, wins the ensuring presidential elections in Liberia come 2017.